Fox has released a few fall pilot episodes online, including The Mindy Project, which I reviewed recently, and their brother/sister/cute kid sitcom Ben and Kate. I watched the pilot and have resoundingly inconclusive thoughts. After watching The Mindy Project, I thought “This is a show for me.” Literally, I am the target audience. And it’s totally my jam. I liked the jokes, I liked the characters, I liked the general tone of the show. Ben and Kate, it’s not a bad show, but it might not be for me. So what’s it about? Kate is a sweet, young single mom to an adorable five year-old. She lives life cautiously and doesn’t get much excitement. Her older brother Ben is wacky and unreliable, but loves his sister and niece and decides to move home and help Kate out so she can let her hair down a little. The characters are a little too over the top for me. 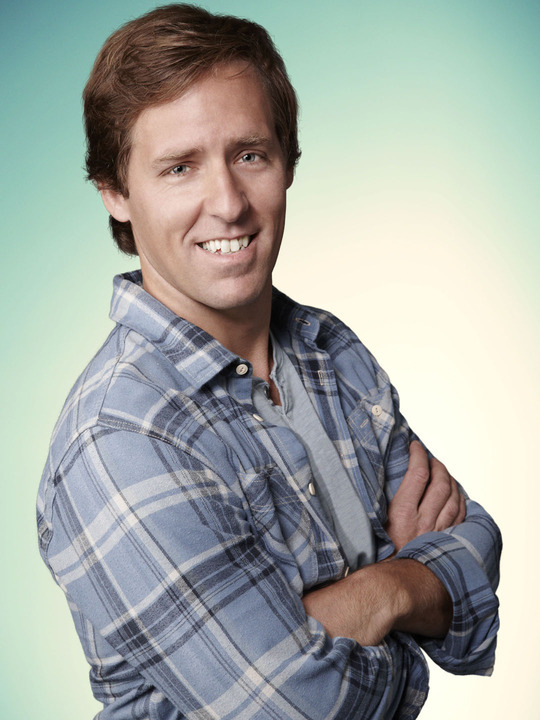 I should like Nat Faxon, who plays brother Ben, because he co-wrote The Descendents with Jim Rash. Or maybe I shouldn’t – I actually didn’t care for The Descendents, but I liked the *idea* of The Descendents and I like Jim Rash. (BTW, his teeth really bothered me during the show. Does this make me a horrible person?) Ben was just a touch too wacky for a show that otherwise features pretty normal characters. Dakota Johnson plays sister Kate – she’s the daughter of Don Johnson and Melanie Griffith. I suppose she’s likable enough, but I found her a little bland (I guess that’s the point, though) and although the actress herself is only 22, she came across as much older. This both works and doesn’t – on the one hand, Kate is meant to seem much older than her years. On the other hand, it makes it difficult to buy her as a young mother. She looks old enough, to me, to have a five year-old daughter. That daughter is played by the incredibly adorable Maggie Elizabeth Jones, who you might recognize from We Bought a Zoo. She is very, very cute. Ben and Kate will air on Tuesday nights, which Fox is really hitting a home run with this year. They’ve moved Glee, and the evening will now be a block of four sitcoms – Ben and Kate, Raising Hope, New Girl and The Mindy Project. This show is an obviously good pairing with Raising Hope, though I’d argue that right now it’s too similar and pales in comparison. Over time it might grow to be an equally delightful, quirky companion, but I didn’t truly laugh during the pilot. Raising Hope is already a show that I find runs hot and cold, so I can’t say for sure if I’ll tune in a half hour early to catch the funhouse mirror version. Tuesday already has some stiff competition with Happy Endings and Don’t Trust the B over on ABC, not to mention The Voice and (later in the night) Parenthood on NBC. I’ll certainly give Ben and Kate a few more episodes, but in a fall TV season that’s heavy with sitcoms I love (Community, Cougar Town, Happy Endings, New Girl, Parks and Recreation…) and a few I feel obligated to watch (Hello, final season of The Office) it could be one that gets relegated to Saturday morning DVR catch-up. Injury Motorcycle Crash – RCMP refer matter to SiRT, Digby, N.S.